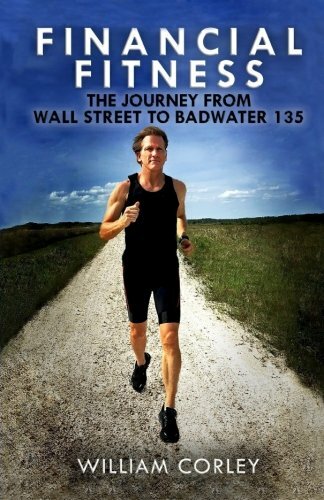 William “Chip” Corley began his career as a stockbroker after graduating college, flat broke. Growing up in a middle class family in Clarksville, Tennessee, one thing was clear to him early on: he wanted to be successful and earn a lot of money. Upon becoming a stockbroker, Chip had no contacts, no money, and no experience. What he did have was a burning desire to succeed. While the investment industry offers tremendous financial opportunities for the ambitious and driven, it is also a roller coaster ride of uncertainty, full of highs and lows, and pressure to produce. Being a stockbroker and recommending investments to others is considered one of the most stressful ways to earn a living. The failure rate is 90%. To make it required long hours on the job, endless phone calls, research, and high-volume sales quotas. Chip rose to the challenge, which proved to be a great fit for his relentless work ethic. His early achievements and potential landed him a job on Wall Street in New York City. It was there he rose to the next level in his career. For 20 years, Chip continued to push. By 2004, the toil of it all caught up with him. Chip was diagnosed with hypertension and given a lifelong prescription for medication to control it. It was at that moment Chip understood that it was time to implement changes. He began to make health a top priority. In the decade to follow, Chip transformed himself from a middle-aged workaholic to a top-caliber endurance athlete. By learning to eat properly, incorporating yoga into his routine, exercising regularly, and utilizing mentors and coaches, his health flourished. Fitness became the passion that led him to the next chapter of his life. In 2005, he ran his first 5k with his 11-year old son, Chipper. From there he continued his athletic pursuits by running a 10k, half and full marathons; 70.3 and 140.6 Ironman triathlons; 50k, 50 mile, 100k, and 100 mile ultramarathons; and ultimately Badwater 135, considered the world’s toughest footrace. Financial Fitness chronicles Chip’s journey in the world of investing and business to his path fueled by fitness and health, and offers tons of tips en route to inspire others to find their own financial and physical well being.